Monday: We had a wonderful day with author and Publisher at Mountain Brook Ink, Miralee Ferrell, talking about "When God Closes a Door". The winner of a signed copy of Runaway Romance is Barbara Fox! Tuesday: We enjoyed an inspirational discussion on Faith with Tracey Lyons. The winner of a copy of The Heart of an Agent is Winnie Thomas. Wednesday: Mindy Obenhaus brought setting alive for us with her tour of Ouray, Colorado, the fictionalized home to 6 of her novels. Friday: Sometimes the story is all in the journey. Donna Wichelman shared inspiration and encouragement and what she learned as she wrote her newest book, Undaunted Valor. Monday: Mary Connealy had FOUR BOOKS RELEASE LAST WEEK. Okay, yes, she's crazy. And why shouldn't she share that crazy with all of YOU!? I made a video. Maybe turn the sound down if you're checking Seekerville at the office. I'm giving away one copy of EACH OF LAST WEEK'S RELEASES. Tuesday: Heidi Chiavaroli is our guest today to share with us why it's important to let your characters have questions about their faith! She'll be giving away a copy of her new book The Hidden Side and a bonus wall art gift! Wednesday: Wise Words Wednesday with Ruth Logan Herne! Thursday: Come share the fun with Beth Vogt! Friday: Beth Erin will be sharing review writing dos and do nots (did someone say donuts??? Oh... never mind.) for street teams, influencers, and readers in general. 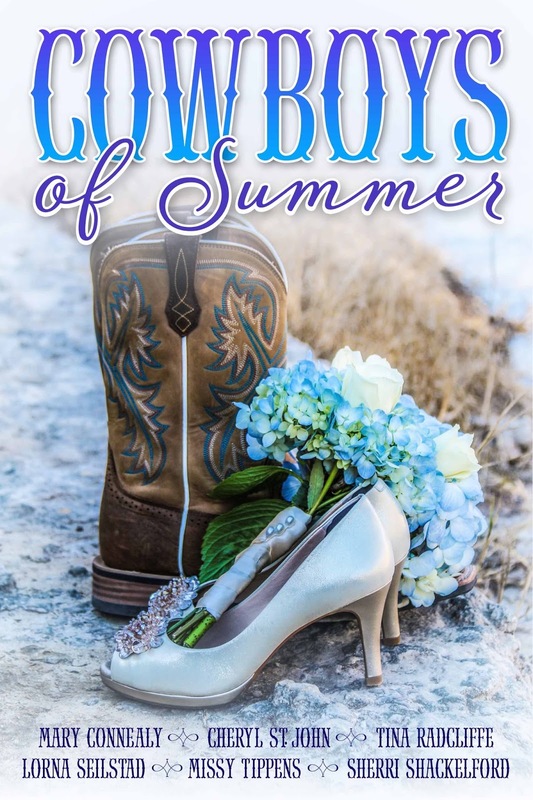 Mary Connealy is on Lena Nelson Dooley's blog talking about Cowboys of Summer. Go there and leave a comment to get your name in a drawing for a copy of the ebook Cowboys of Summer novella collection. Cowboys of Summer by Mary Conealy, Cheryl St.John, Tina Radcliffe, Lorna Seilstad, Missy Tippens and Sherri Shackelford, is now live on Amazon. Missy Tippens will be a guest on the Seriously Write Blog on Wednesday May 9th. Be sure to come visit to hear more about pursuing all types of writing opportunities! Ruth Logan Herne's More Than a Promise re-released with a new cover! Celebrate with a Takeover Tour & an Instagram Tour with JustRead Publicity Tours starting Monday, May 7th! Be sure to check out all the stops for giveaways! 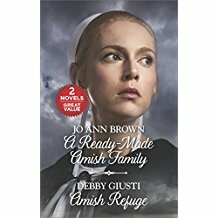 is now available in a two-in-one with Jo Ann Brown's A Ready-Made Amish Family. The Unpublished Maggie Award, sponsored by Georgia Romance Writers, has extended the deadline until May 6th at 10 pm. The final judge for the Romance with Religious or Spiritual Elements category will be Becky Durost Fish of Barbour, so don't miss this opportunity! More info here. Fae Rowen challenges writers to view our storyworld differently through World Building Using POV. Thank you, Writers In The Storm! The new Indie Author Support Network, For Indies, By Indies, is forming now. More info here. Love the WE. Good to hear about the Unpublished Maggies although I can't enter any more because I'm contracted. It's kind of sad, like putting away your maternity clothes, but also getting ready for a whole new chapter in life. But feeling encouraged today, so that's something. Finishing Glynna's "Mountain Country Cowboy" this weekend and then going into Ruthy's Vineyard mystery. Behind on my reviews, got a draft of Jan's "Amish Nanny" review but have to tweak it, hope to catch up after my next bout with the temp job. There is Not Enough Time. The schedule I set in December 2017 has been chewed up and spit out, hope to try and make it work again. Out of here, got to do Saturday stuff, have nice weekend. Kathy, I have to say, what a nice problem to have! You can't enter the Maggies because you're contracted. WooHoo. Yes, pack those maternity clothes away and start living in the land of jet-powered umbrella strollers!! I've got so many Saturday things to do, I don't know where to start. My TBR pile is tottering as I add more books. BUT, I know a down-time will come and I'll be able to lose myself in so many terrific stories!! LOL about the maternity clothes. :) haha So true! Love the WE. Looking forward to the posts this week. I am hoping my body will cooperate for me to check in every day. These storms have been wrecking havoc, but the Lord is so good. I was even able to finish strong for Camp Nano. Is there a program that will keep track of my word count? I've made some great strides on the novel I am rewriting. Today I'm on pins and needles while I wait to see how my Genesis contest entry did. Wilani, it's May 5!! When are they announcing the finalists?? I'll keep my eyes open. Rootin' for you, kiddo!! Personally, I love rewrites. They don't take anywhere near the energy for me as writing the first draft. My cheers and prayers are encouraging you!!!! I didn't make it, but I recognized a couple names. I am not discouraged. I figure the Genesis has some pretty stiff competition. I like rewrites too, Audra! Wilani, I love that attitude! You're right that the Genesis has stiff competition. I hope you get some helpful feedback. Congratulations to the winners and I look forward to an exciting week ahead. I wish all of you a great weekend. Wow, I missed a whole week at Seekerville! Crazy weather, intermittent Internet and power outages all week long! I did well to keep up with my blog and a bit of Facebooking when I had power so missed my Seekerville and Yankeebelle fix! it's a beautiful gardening day -- at last -- so I'm not lingering inside. Happy weekending everyone! See ya around next week...weather willing. Kav, I'm sorry for the rough week! I'm glad to hear today was better. We miss you when you're not around! I look forward to Tuesday and Friday. Faye, it looks like a great lineup this week! Congratulations to the winners. And thanks for the Indie Author Support Network link - this is great! Derby Day and Cinco de Mayo! What a great combination!!! I lived in KY for lots of years and love the Derby! Good luck to my favorite horse, My Son, Jack! I have a grandson nicknamed Jack, thus the reason for my race preference. No betting. Just watching and cheering!!! Debby, as a Kentuckian, born and raised, I always watch! I'm sorry to see it's another rainy race. Our own Connie Queen is a finalist in the Mystery and Suspense Writers' Daphne du Maurier Contest!!! Congrats, Connie! So excited for you! Way to go, Connie!!! I'm happy for you! Just saw that Cindy Regnier is a Genesis semi-finalist!! Congrats!! Second... I don't need a winter coat. Congratulations to all winners.... and to the good folks who stop by (whether or not you leave a comment, we know you're here. We see the numbers!) And to all of you aspiring authors... and to our readers.... Wishing you the happiest of Mays! Spring begins. For realsies!!!! Glad you have sunshine, Ruthy! It's windy and cooler in GA! Looks like another great week ahead - - happy reading and writing!